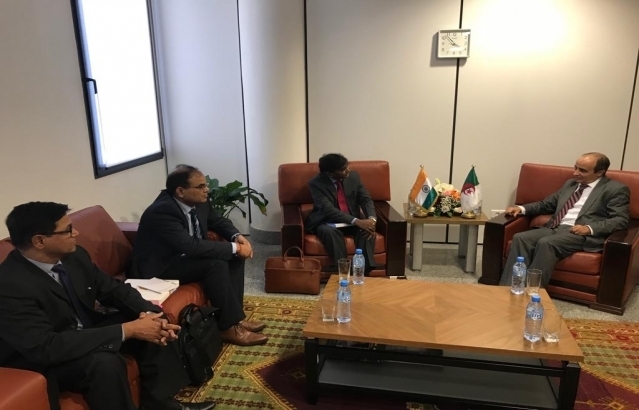 6th session of Foreign Office Consultations between India and Algeria was held on 14-15 November 2018 at Ministry of Foreign Affairs, Algiers. The Indian side was led by Dr. B. Bala Bhaskar, Joint Secretary(WANA), Ministry of External Affairs and the Algerian side was led by H.E. Mr. Guennad Boumediene, Director General (Asia-Oceania), Ministry of Foreign Affairs, Algeria. 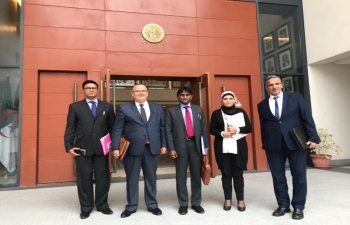 On the evening of 14th November, the Indian delegation called on H.E. Mr. Rachid Bladehane, Director General (Multilateral) and Acting Secretary General of the Ministry of Foreign Affairs.